If you are coming from Catherine's Blog, You are on the right track. You can find a complete list of participants by clicking here. 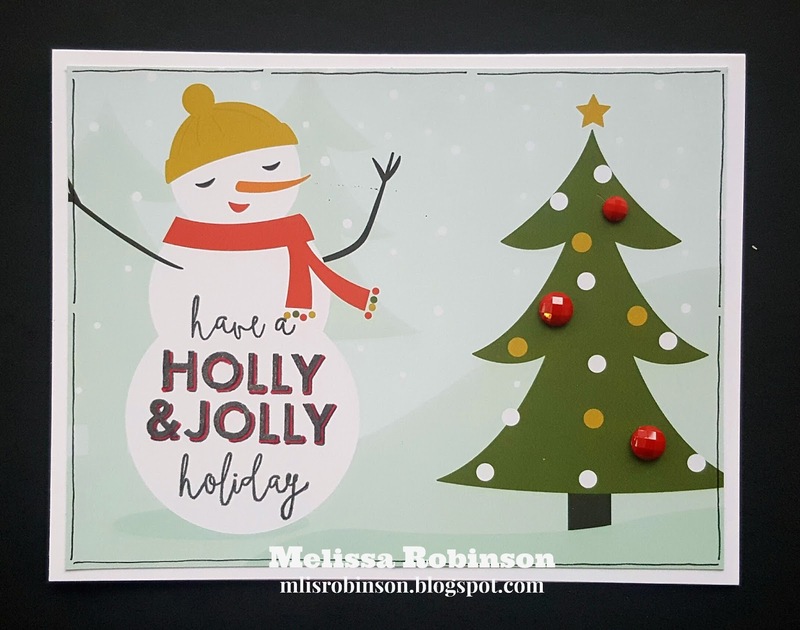 For this card I stamped the sentiment from the Jolly Holiday stamp set and added Red Enamel Gems. Here I added Red Enamel Gems and Gold Shimmer Trim. 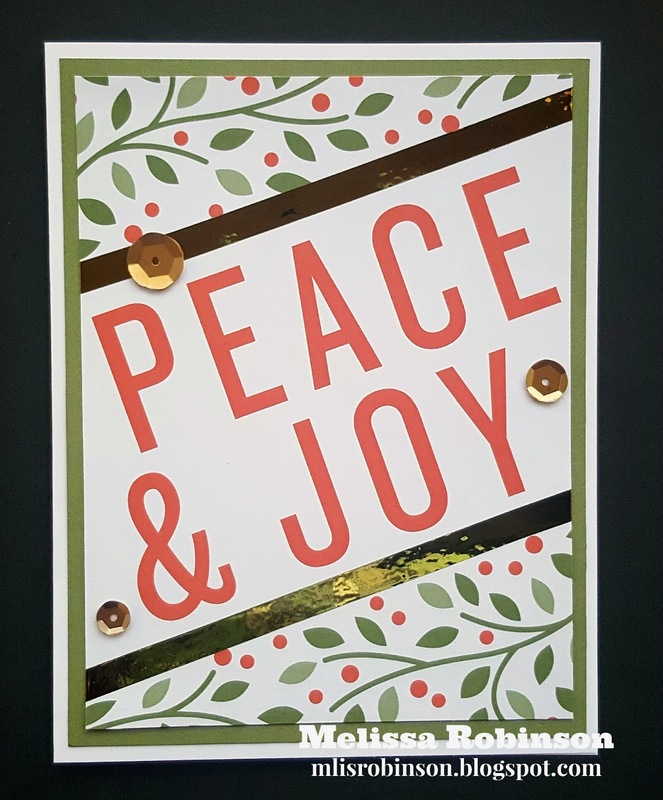 Three Gold Sequins and some Gold Foil Tape were added to this card. I love the versatility of our products and this campaign bundle showcases how many of them can be used beyond the obvious. Tomorrow I will post details regarding this campaign and the home decor items only made available for this special, on my website, while supplies last. (They were offered previously but have since been retired so this does provide a unique opportunity to purchase them.) Contact me if you have questions. 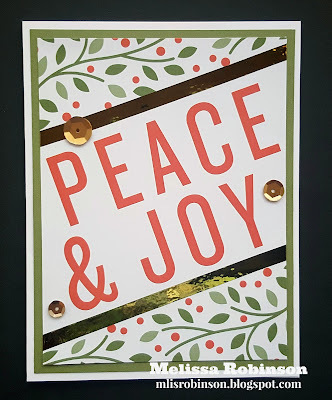 I am excited to see what the other Blog Hop participants created with these products so head on over to Melinda's Blog and continue making your way through the artwork. I am sure you will find some fun ideas as you do. Your cards a lovely - my fave is the snowman! Awesome cards! Love the doodle lines. 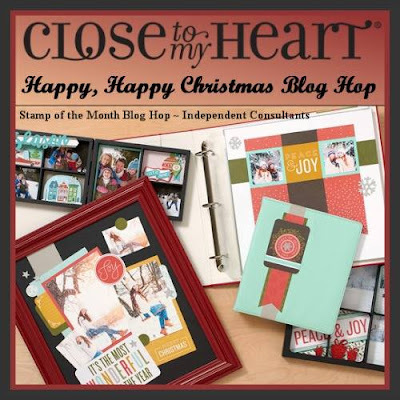 Cyber Monday Cricut Crazy with Close To My Heart! Save Up to 50% On Mystery Boxes! Black Friday SALE - CTMH Super "Stash"